Today I am sharing a new Planet Penny pattern for Crochet Heart Bunting to help raise awareness of the Little Hearts Matter Charity. This is a great charity which raises funds and awareness for children born with only half a heart, something I admit I knew nothing about before. During the month of October there is a lot going on with the theme ‘Handmade Hearts’ and you can find out all about it on the Little Hearts Matter website. I’ve made my bunting using the Planet Penny Colours range which is perfect for this pattern, but it’s also a great stash buster. If you’ve made a pretty baby blanket as a pressie, coordinated bunting for the nursery would be a lovely little added extra. The pattern is available here as a FREE downloadable PDF ,however if you use and like the pattern it would be great if you could visit the Little Hearts Matter website and make a donation to help these amazing and brave youngsters. 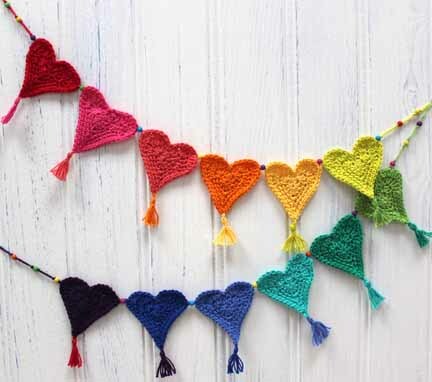 I hope you have a lovely weekend, and if you decide to make the Crochet Heart Bunting I’d love to hear about it! P.S. If you like hearts, you might also like the small heart pattern I created for the #PeytonHeartProject which you can find here. This entry was posted in Bunting, Crochet, Etsy Shop, Planet Penny Cotton Inspirations and tagged Bunting, colours, crochet, crochet heart bunting on October 17, 2014 by pennygj. I am helping someone to learn to crochet and think these are the perfect instant gratification project for her. Thank you Penny. I will be making a donation. Hi Penny – thanks for sharing the pattern. My donation has been made to a very good cause! 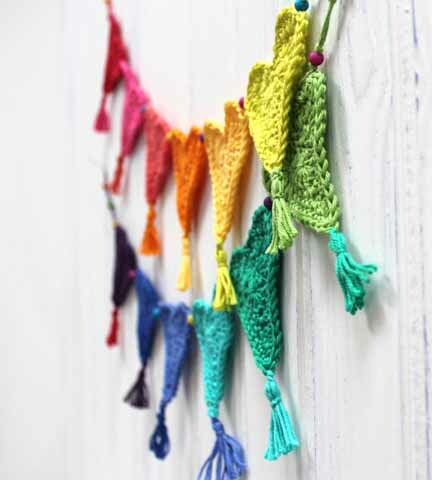 Just wondering what size beads you used for the bunting and if you know of a good bead supplier? Thank you! I’ve been looking for a pattern for crochet hearts for my Homemade heart sale for Little Hearts Matter and came across yours by chance.